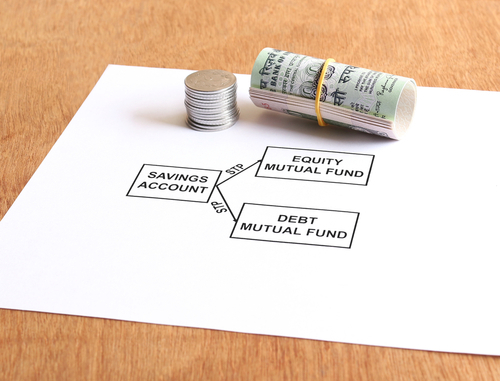 To pass on the economies of multi-fold scale in MFs to end consumers, SEBI has lowered the Total Expense Ratio (TER) that a fund house can charge investors on Equity MFs, effectively making such investments cheaper at the retail level. TER reduction in MFs will vary by fund size, with larger funds now facing larger cuts in TER than smaller ones. In an effort to provide investors with better transparency in MF costs, SEBI has mandated that all MF expenses and commissions must be paid from the MF scheme only. The MF industry is now required to adopt the full trail commission model for all schemes and upfront commissions can longer be paid by fund houses to MF distributors. Implications: While lower MF fees and new commission mandates might initially hurt distributor margins, the pain will likely be short-lived. Greater transparency for investors combined with lower fees on MF investments will improve demand and increase market size for MF products, thereby contributing directly to top line growth for MF agents. Higher levels of investor participation in the MF industry will ultimately benefit all members of the market ecosystem including investors, financial advisors and mutual fund houses. Panic for Debt MF investors? The recent weeks have been a stress test for India’s financial system with the future of defaulting behemoth IL&FS on the line. Last week, the Government of India seized the reins of managing the group’s mammoth debt burden, prompting investors to reflect on the implications of “India’s Lehman moment”. Tremors originating at the epicentre of this crisis have been felt in broader bond markets, as concerns emanate about the strength of NBFC (non-banking financial company) & HFC (housing finance company) balance sheets across the industry. Falling NAVs of associated Debt MFs have drawn warranted scrutiny upon the MF industry with one seemingly alarming statistic: MFs own about 60% of overall NBFC commercial paper issuance. In the face of a weakening rupee coupled with rising bond yields, do MF investors have reason to panic? The answer is not straightforward. Market experts have attempted to calm investor nerves by asserting that this is more a crisis of confidence, not liquidity, and further adding that the RBI would do the needful to safeguard liquidity in the system. It is noteworthy however that fixed income fund exposure to HFCs (about 12 percent) and NBFCs (about 6 percent) is not, by any means, insignificant. Therefore, at present, it is crucial for those invested in affected debt funds to closely monitor the crisis resolution. It is now most important for regulators & corporates to collaboratively ensure that similar crises are avoided in the future, by reevaluation of credit rating methodologies, improved due diligence of corporate balance sheets and better diversification in MF portfolios. There is much to look forward to about the future of the financial markets landscape in India. Household disposable income is on the rise, creating demand for avenues that generate high returns on invested wealth. AMFI data has shown that the number of Systematic Investment Plan (SIP) accounts added in the Jan-Jun 2018 period is up 60% compared with the same period last year. 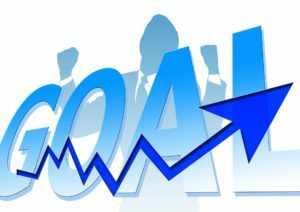 According to a recently released IMF Economic Outlook, Indian GDP growth will progressively increase over the medium term, in turn helping the Indian Wealth Management industry to grow yearly by 10-15% and more than doubling the number of Indian ultra-HNIs by FY22. Regulators have responded positively to India’s promising growth outlook, permitting Indian investors access to a wide array of new financial products such as portfolio management schemes, fixed-income instruments and alternative investment funds. A higher level of market awareness has prompted savvy investors to seek greater balance in capital allocation. This is arguably a step in the right direction, in line with the fundamental principles of portfolio diversification. What is portfolio diversification and why is it essential to Indian investors? Portfolio diversification is the practice of allocating one’s investments across different asset classes, industries and/or geographies to minimize portfolio risk by reducing exposure to the underperformance of any one particular asset, industry and/or region. Diversification is not necessarily aimed at maximizing portfolio returns; however, it does carry important implicit benefits for wealth preservation. Holding a basket of uncorrelated assets in one’s portfolio can limit losses in a cyclical bear market, and effectively safeguard an investor’s capital for subsequent bull market runs that present opportunities for enhanced returns. Portfolio diversification, while serving as a risk mitigation technique, also provides investors with freedom to gain exposure to a greater proportion of risky assets in their portfolios, while keeping overall portfolio risk low. How can Indian investors create diversified portfolios? Creating a well diversified portfolio isn’t rocket science. The cornerstone of sound portfolio diversification, simply enough, is discipline that must be exercised while formulating one’s asset allocation strategy. 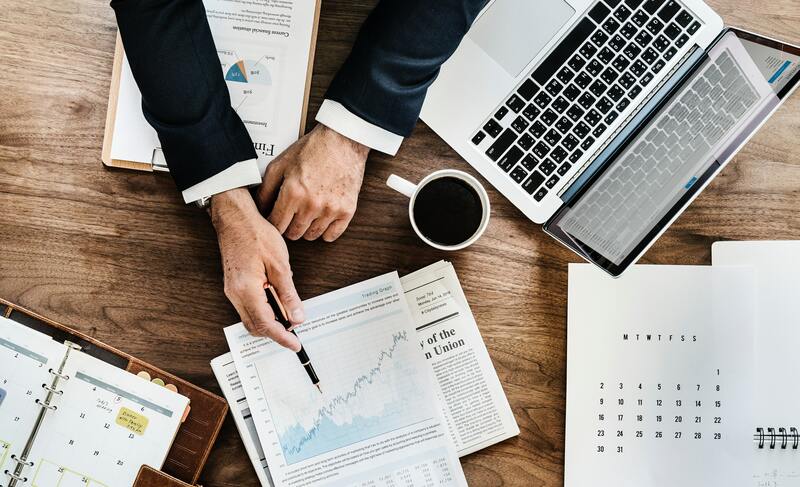 A well diversified investment portfolio must comprise a carefully curated selection of securities that are not highly correlated in terms of performance and are characterized by different risk profiles, to keep portfolio risk low. While the consistent increase in the number of investment products on the market is beneficial for portfolio diversification, it also creates an unprecedented challenge for Indian investors – how must one maintain and manage vast baskets of investment holdings? After all, each asset class is governed by its own sets of laws, exchanges & intermediaries, and investors are expected to follow unique rules for tracking P/L, accounting & tax implications specific to each asset class. To add to the complexity, a well diversified portfolio requires consistent analysis and rebalancing, to adjust for changes in micro and macro environments. Now more than ever before, Indian investors are faced with the daunting task of tracking all of their investments in real-time. This is where MProfit comes to the rescue. By providing an affordable & simple-to-use desktop (and soon-to-launch Cloud!) solution, MProfit allows users to manage investments across a large number of asset classes that seamlessly integrate with MProfit’s comprehensive accounting module. One of MProfit’s differentiators is its proprietary import engine that can aggregate data from over 3,000+ sources across many disparate formats for key asset classes. We have saved our clients countless hours in painstaking manual import of trade & accounting data. In line with the new Grandfathering provision introduced by the 2018 Indian Budget, MProfit has also fully integrated & simplified the complex calculation of capital gains for all transactions (including corporate actions such as bonus, split, merger, de-merger). MProfit truly empowers the Indian investment community to reap the benefits of an improved financial markets landscape by providing complete visibility into personal, family & client portfolios. With MProfit, individuals and investment professionals are able to diversify better and achieve higher returns in the long-term. 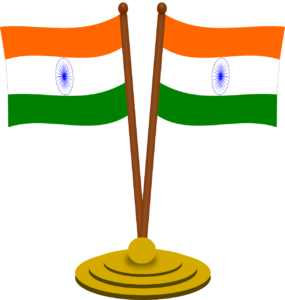 India’s 2018 Budget delivered by Finance Minister, Mr. Arun Jaitley proposed a long-term capital gains tax of 10% on stocks and equity mutual funds exceeding Rs. 1 lakh without allowing any benefit of indexation. However, as per the Budget, all gains until 31st January, 2018 will be grandfathered. 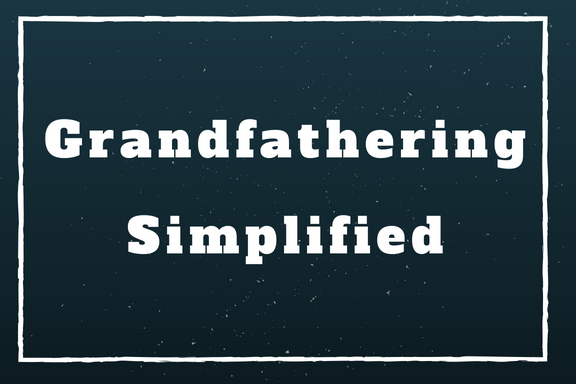 According to Wikipedia, a grandfather clause is a provision by which an old rule continues to apply to a certain existing situation while a new rule would apply to all future instances. This implies that you will not be taxed on any gains that you have already accumulated up until 31st January, 2018. More recently, on 4th February, 2018, the Central Board of Direct Taxes (CBDT) issued a list of 24 frequently asked questions (FAQs) regarding taxation of long-term capital gains proposed in the Finance Bill, 2018. This list of FAQs further makes it clear that the new long term capital gains tax will be applicable only for sales on or after 1st April, 2018. The long-term capital gains tax exemption will continue for any sale between 1st February and 31st March, 2018 as per current taxation policies. To summarize, there is no change in the long term capital gains tax exemption for the financial year 2017-18. MProfit has consistently been the preferred choice of solution amongst chartered accountants and investors for the computation of short-term and long-term capital gains. As the new long term capital gains tax change is not applicable for the current financial year FY2017-18, investors should continue using the existing version of MProfit to compute capital gains for the financial year FY 2017-18. MPROFIT WILL PROVIDE SUPPORT FOR NEW CHANGES TO CAPITAL GAINS CALCULATIONS IN THE COMING MONTHS. If you would like to learn more about how MProfit simplifies capital gains for various assets, click here. Click here to download the FAQ list published by CBDT. Computer Age Management Services (CAMS) and Karvy are two leading Registrars who provide services to investors on behalf of mutual fund houses. 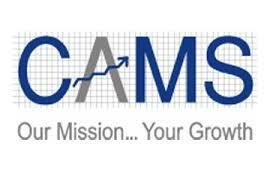 Many mutual fund investors are not aware that CAMS provide consolidated account statement (CAS) for their entire family’s mutual fund transactions across all schemes including the ones managed by CAMS, Karvy and Franklin Templeton. One statement contains the mutual fund transactions for entire family across all the mutual fund schemes. Investor needs to link the same email address to their all family folio numbers with CAMS, Karvy and Franklin, if not done while investing for the first time. The CAS statement can be requested for any period of all your mutual funds, including holding of many years. MProfit has made it extremely easy to upload all mutual fund transactions for entire family from this statement. All kind of transactions, such as subscription, redemption, SIP, STP, Switch-In/Out, SWP, Dividend Reinvestment, Dividend Pay-out are imported from this statement in MProfit. Investors can review various reports related to mutual funds in MProfit such as capital gains (with & without indexation), annualised returns (XIRR), asset allocation and many other reports. Click here for the detailed information to learn how to request CAS file and how to import it in MProfit. As a physician, I have been dabbling in investments since 15 years but the problem has always been accounting and calculating tax estimates which my CA was reluctant to do. It was also tedious to take each contract note and entering every detail especially when using all the services of a institution like ICICIDIRECT. I had started using MPROFIT since its inception when it was free to use and have gained complete confidence in the software and I am now a paid subscriber. My CA also understands the reports very easily. MPROFIT does not charge anything etc for modifications & updates in software when the laws are changed and importing contract notes are completed in seconds. Any query is solved within a few hours in the daytime and where I do query at night, I immediately get online assistance and correction within 24 hours without fail. The support team is prompt, knowledgeable and once they have contacted, they will put in the time necessary to solve the problem. Such service at such low subscription is a rarity in India. You have all the aspects of an international standard services company in the form of customer services, regular updates, online rectification of problems, accountability and most of all patient and decent services. I recommend this software to each and every Indian and hope that everyone encourages MPROFIT which follows excellent business and work ethics. This is one “MADE IN INDIA” company which truly deserves our support and everyone should make use of the services provided by this company. Happy New Year to everyone! Why not make a New Year’s resolution that will give you a handsome financial reward and is easy to achieve? Start using MProfit and effortlessly take care of portfolio management for your entire family or all your clients. MProfit’s comprehensive list of features as well as its best-in-class support have made it the preferred choice of the entire investing community, including 1000s of investors, financial advisors, family offices and chartered accountants. It is consistently rated as one of the best software solutions on SoftwareSuggest, India’s popular software listing web portal. MProfit is an easy to use software solution to manage Stocks, Mutual funds, Bonds, F&O, and all other assets. MProfit now supports import of more than 2,700+ different formats such as digital contract notes, mutual fund & bank statements. 2017 has certainly shown that dynamic changes at both a global and local level are frequent yet unexpected. As financial markets are influenced by all forms of macro & micro events, investors should be prepared for any heightened volatility in 2018 by actively monitoring their investments and taking prudent decisions based on changing circumstances. MProfit is specifically geared towards helping investors/financial advisors achieve these goals with ease and efficiency by reducing their administrative manual work and providing useful reports including capital gains reports. Investors/financial advisors using MProfit can certainly spend more time on research related to their investments and make better investment decisions. So, make the resolution to be smarter & more disciplined with your investments in 2018! Click here to download MProfit Investor for free today! As declared in the Budget 2017, Finance Minister Mr. Arun Jaitley has made changes to the cost inflation provision and accordingly, new cost inflation index (CII) numbers used for calculating capital gains with indexation have been notified by the Central Board of Direct Taxes (CBDT). The base year for the cost inflation index has been revised to 2001 from 1981. These changes are applicable starting financial year 2017-18 and onwards. MProfit’s new software update has incorporated these changes. MProfit has made it extremely simple for users to compute capital gains with indexation for any period. If any Debt MF or gold bonds are sold after 1st April 2017,the software will compute capital gains with the new base year and new CII index numbers. Computations for trades prior to 1st April will be done based on old CII numbers. SoftwareSuggest, one of India’s leading business software discovery and recommendation platforms, has given MProfit the awards of “Budget Friendly” and “Customer’s Choice”. We at MProfit are very proud of this achievement and would like to thank the entire MProfit team and all the stakeholders and especially our valued clients for helping us earn these awards. We again thank all our clients for valuing MProfit as their preferred choice.